Regardless of which credit agency’s report you are looking over for the first time, the same categories are present in the reports of Equifax, Experian and TransUnion. These categories are identifying information, trade lines, inquiry information and public record information. Identifying information is often data that people skip over but shouldn’t. While we expect the services of all the agencies to be professional and correct, it is not unheard of given the amount of data that the services have to deal with to get someone else’s information, usually with a very similar or the same name as yourself. It is important to check the information and make sure it is all your own, including your social security number, date of birth and other key information. If you get someone else’s information as a part of your report, the agencies will be quick to fix it. Unfortunately, you’ll have to contact each one separately to fix problems, but removing someone else’s errors can quickly boost your score. pay off debt in a timely manner, keep your balances far from your limits and keep your accounts open for a long time. Equifax Personal Finance Blog. The blog also has many articles that can help your be a better borrower, especially on credit, insurance, tax, retirement, real estate and more. 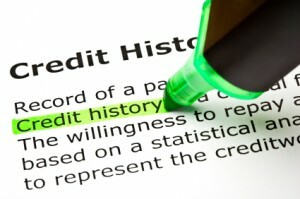 This entry was posted in Homebuyer Incentives and tagged credit report, equifax personal finance blog, pay off debt on March 2, 2012 by Carol Morgan.